Sponsorship, School and Science – Mbasha Rehema’s story. Mbasha Rehema lives in Buikwe, Uganda. Despite facing difficult circumstances in her childhood, with support from her family, her school and her International Needs sponsor, she was able to overcome her challenges and start the path to a bright future through education. 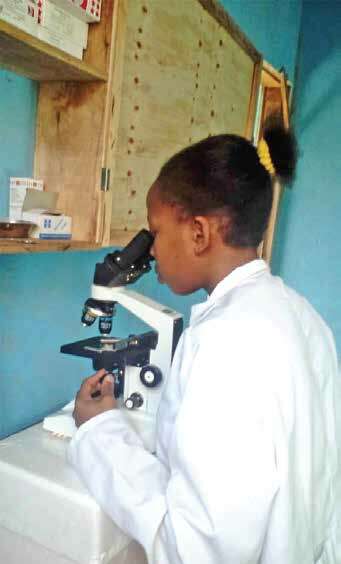 Mbasha Rehema is now a graduated health professional working in a Laboratory and looks forward to the future and supporting her siblings to make it too. Mbasha Rehema in 2012, two years after being sponsored. “I am Mbasha Rehema and I am now 22 years old. I have 3 brothers, 1 sister and 4 step-siblings. My childhood time was not a good one, especially after the death of my father. By then I was in primary two and was staying with my stepmother. Being a single parent with no regular source of income, she could not afford to meet all our individual needs, so I was taken to live with my brother. Life became tougher as my sister-in-law never wanted me to be in school, she instead wanted me to stay at home and help her with housework. At one point she arranged marriage for me and when I learnt about it I left and my stepmother willingly received me back. 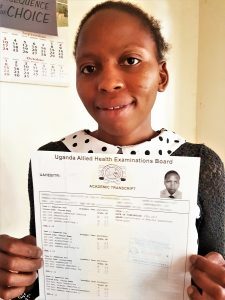 With the support of her sponsor from the UK, Mbasha Rehema was able to graduate from an Institue for Health professionals. My stepmother then enrolled me at one of International Needs Uganda’s (INUG) partner schools. My stepmother still struggled so, while at school, I decided to seek assistance from the International Needs Sponsorship programme. The INUG Sponsorship team gave me a listening ear and this revived my spirit. In 2010 my biological mother passed on but fortunately, it was the same year I got a sponsor from the UK. 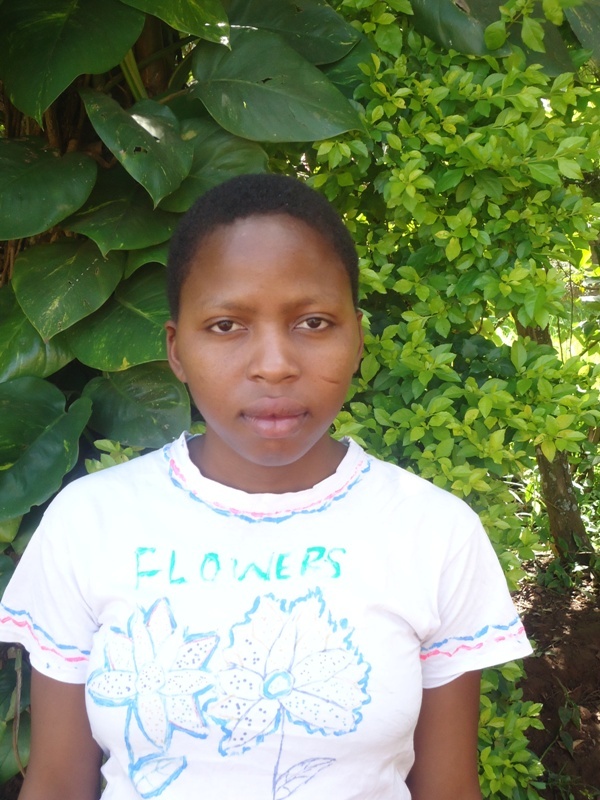 With the support of my sponsor, I was able to continue to secondary school and later, study at an Institute of health professionals. In 2017 I successfully completed my course with a certificate in Medical Laboratory Techniques. I am so happy I have already got a job and now working. Mbasha Rehema at her work. My desire is to advance in my studies. I want also to help my siblings so that they will also make it. To [My Sponsor], you rewrote my story, thank you for making a good foundation for me. Thank you INUG staff for never giving up on me. I had foolishly given up but you did not give up on me. Thank you for your counsel and the motherly advice you gave me. As I look back I really thank God that I met you. Special thanks to my stepmother for the sacrifice she made. I will forever be grateful. Despite progress, over 260 million children and young people are not in school. In many countries around the world, girls remain significantly more likely to miss out on an education than boys. Through supporting children with a solid foundation in primary and secondary education we can ensure every child, girl or boy, is empowered to achieve their dreams and begin the path out of poverty. Through our Education projects and Sponsorship Programme we are working around the world to support families and communities provide quality education for their children and generations to come. Could you join us? Click here to find out more about becoming a child sponsor today.